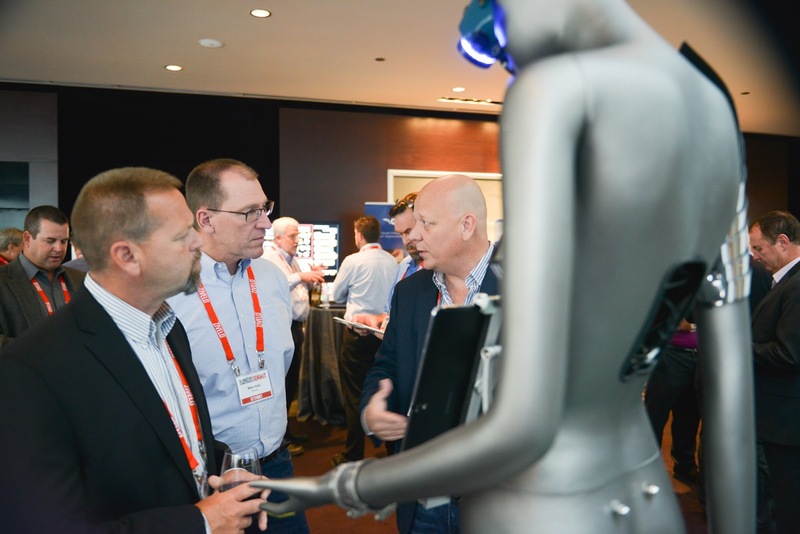 RevelDigital was in attendance at the ICX Summit and with us came our new demonstration platform we call 'Veronica'. 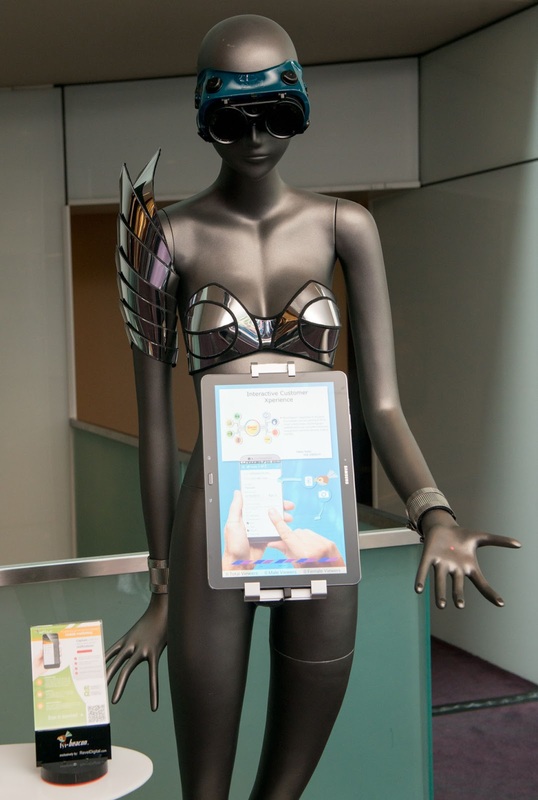 Veronica is a mannequin fitted out with a number of technologies for demonstrating a wide range of real world integrations which tie-in seamlessly with RevelDigital. Included in the demo is a camera for face detection, a number of capacitive touch points, NFC tags, Bluetooth beacons, an LED ring, and an Android tablet running the RevelDigital Player app for digital signage. Veronica was born from a need to effectively convey the utility of these technologies and how they relate to and enhance digital signage. All the sensors and signage in the demo are running in real-time, utilize our stock Android player app, and communicate wirelessly via Bluetooth. This ensures a clean presentation and the ability to say, 'yes, you can implement this today'. The integrated face detection is able to determine the age/gender of the audience which is indicated by the LED 'monocle' and also by a real-time chart embedded within the signage. Tune playlists dynamically based on current viewership using Smart Scheduling. Just add a camera - face detection functionality built into the player app. Analyze your audience with our integrated AdHawk reporting. Tapping any of the mannequin fingers will illuminate an LED in the palm of hand and trigger various playlists within the signage. Easy to implement physical trigger with no moving parts for playing customized content via Smart Scheduling or other scripted functionality. As audience members come into range of Veronica's beacon they will be notified of and presented with customized content on their mobile phones. The beacon metrics are also presented in real-time on the signage. Mobile content can be delivered via beacons which are managed like any other device on the RevelDigital platform. Tune digital signage based on the beacon 'users' in the vicinity and their respective profile information. Analyze your beacon audience with our integrated AdHawk reporting. Veronica will likely be in attendance at all of the future shows we attend so please stop by and check us out. For more info see our AdHawk page and please don't hesitate to contact us.